Recently I picked up a mid century recliner that had been reupholstered in hideous tiger striped fabric. I mistakenly attributed it to Milo Baughman but after much research I learned that it was designed by a company in New Zealand called Danske Mobler. The reupholstery and refinishing processes went smoothly. We even built a matching ottoman for it. SOLD. 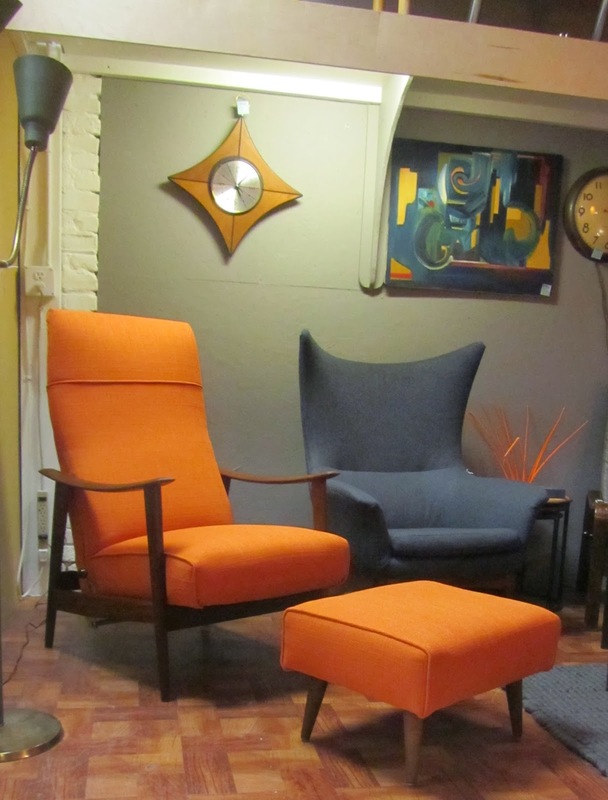 All of our other offerings can be seen on our "Currently For Sale" page. 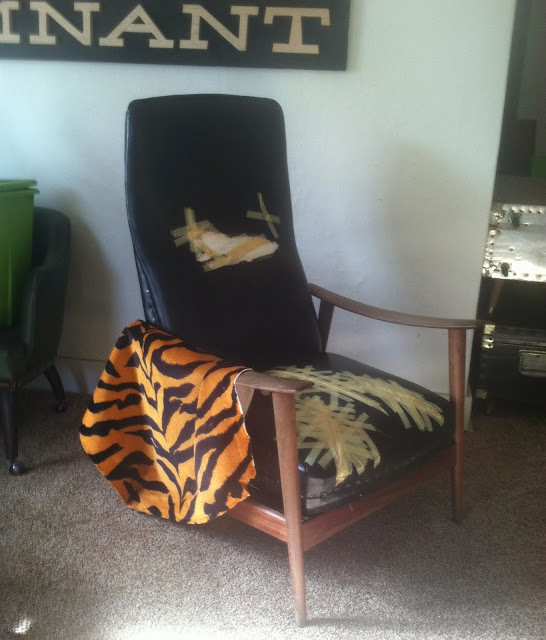 Here is the chair as I found it with its tiger upholstery job. When I pulled off the first layer of upholstery I found the original upholstery beneath. Now I understood why they covered it up. Heather did an amazing job recovering the chair and ottoman. They are as comfortable as they are beautiful.